The British premium automobile manufacturer, MINI has strengthened the progressive character and appeal of its models in the small car segment with a stylishly refined visual appearance and extensive technological advancements with a MINI Cooper Hardtop 2 Door variant, a MINI Cooper Hardtop 4 Door and a MINI Cooper Convertible for 2018. These includes fresh design accentuations, additional customization options and an expansion of the digital services available as part of MINI Connected. 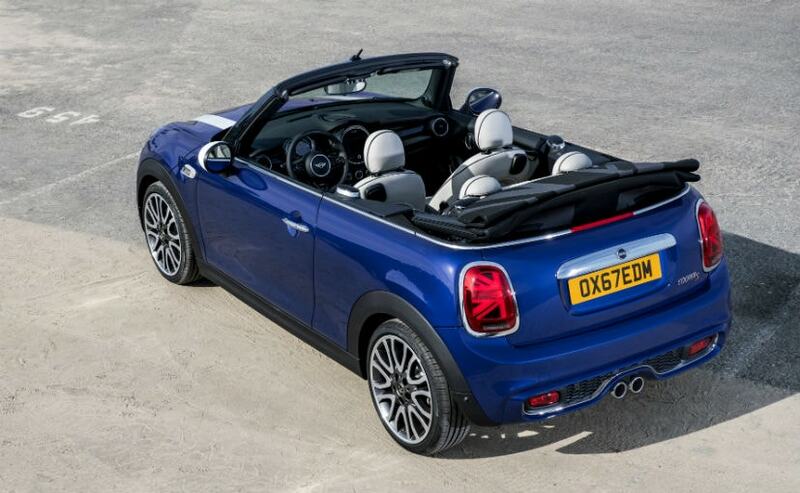 However, the changes in the new MINI are only cosmetic and come with the same engine under the hood. 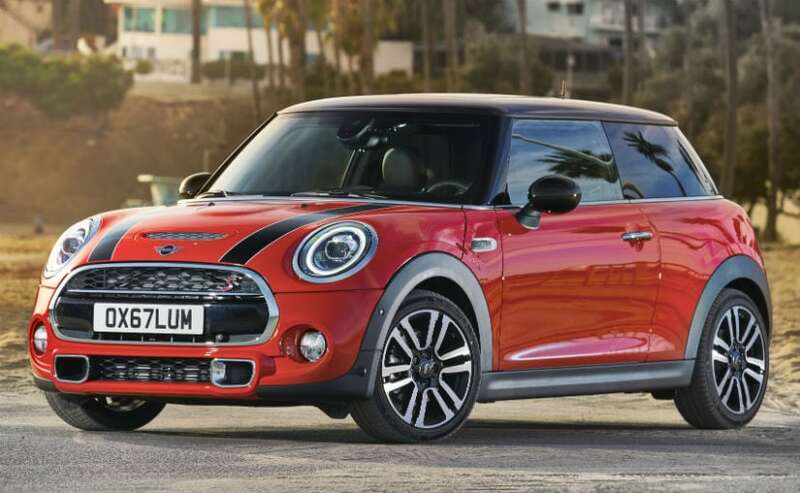 The new MINI Hardtop 2 Door, the new Cooper Hardtop 4 Door and the new Cooper Convertible get a modified design for the characteristic circular headlights along with the standard halogen headlights, LED headlights and the latest generation of LED modules for low and high beam. The rear lights also feature a new design in conjunction with the optional LED headlights. The upright light units at the rear now appear in a Union Jack design. A selection of seat surfaces, interior surfaces and Color Lines has also added a touch of individual style to the interiors. New features include supple Malt Brown Chesterfield Leather upholstery. On the features list is a new 6.5-inch display is included as standard, and features an updated and optimized user interface, Bluetooth mobile phone integration, and support for Bluetooth audio streaming. In addition, customers can specify a new 8.8-inch touchscreen navigation system with new user interface and greatly expanded features. MINI has also integrated a storage compartment in the centre armrest console for wireless charging of phones. 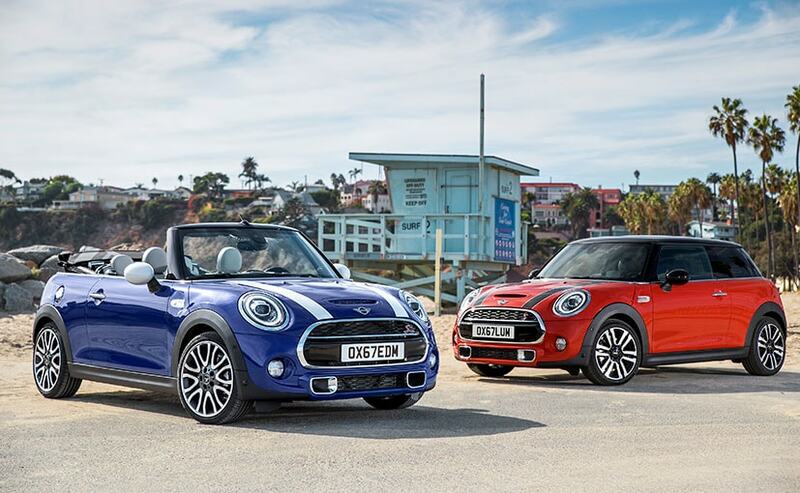 MINI will introduce the new versions of the Hardtop 2 Door variant, a Hardtop 4 Door and a MINI Convertible at the upcoming Detroit Motor Show next week. Moreover, engine specifications and other details will also be revealed at the preview.